“Welcome, Christmas, bring your cheer. Cheer to all Whos far and near. Christmas Day is in our grasp, so long as we have hands to clasp. Christmas Day will always be, just as long as we, have we. So welcome Christmas while we stand, heart to heart, and hand in hand. Grinchmas arrived, so suddenly; SO FAST. So here’s a quick guide on what do and what to fast. Celebrate in your very own way, just don’t forget to include fun the entire day. Grinch juice, roast beef, Who Hash – OH WOW so much to eat and so much to try! The RSVP invitation I used was a downloaded image from Pinterest, that I simply manually filled in using the Adobe Photoshop Fix app on my iPhone. The app works similar to the Adobe Photo Edit app on my MacBook. I use that program in order to edit videos and headshots as well. Very simple and easy. The cute message above was sent as well. It’s just a made up Dr. Sesuss style paragraph to add extra cuteness. Lol. Click here for the RSVP downloadable. Pictured above: My table was wrapped in regular wrapping paper from Hobby Lobby. The green tree was .59 cents from a local thrift store and the wine glasses were purchased from Hobby Lobby as well. All the other platters and bowls came from the Dollar Store. Pictured above: Whoville Photo Shoot – This setup is literally less than $20. Everything was purchased from the Dollar Store (meaning everything was literally ONE DOLLAR); minus our homes photography lights. Pictured below: Are some of our signs for guests who had not been over as often. Originally, I had put them all on a wooden stick but I had trouble placing the stick where it could actually help partiers know where they were. It added an extra cutesy flare with the designs being closer to where it belonged. Pictured above (left): These are just old empty boxes wrapped for decoration. 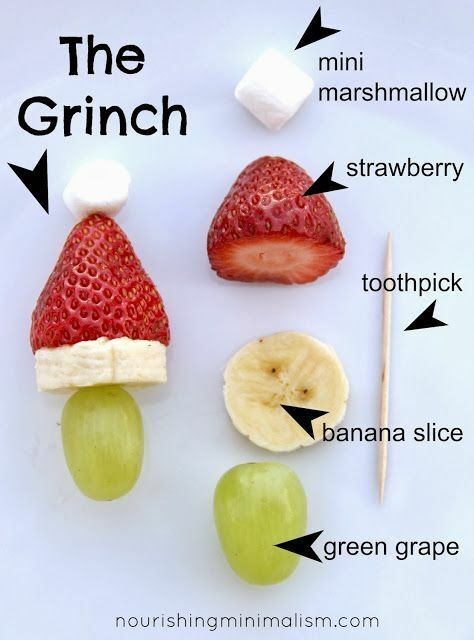 Buy my Grinch-themed dinner and dessert plates HERE! Most of the food prepared for our feast was not pictured because I decorated first then started cooking towards the end of decorating. Reason being, a lot of partiers wanted to arrive early to avoid driving in the dark. I would rather them arrive at a fully decorated house and wait for food than vise versa. What about my Feast menu? How did you get the cutesy Dr. Sesuss writing? That’s an awesome question. I simply put my preschool teacher skills to work and search Dr. Sesuss Mircosoft Word fonts on Google; and found this website. Now I cannot speak for how quick or easy the process is for a regular computer but I can say Matthew (my MacBook) was a bit of a struggle. Lol. Downloading the font was free and simple. But, actually getting the font (Grinched) onto my Word font list was difficult. So difficult I cannot actually tell you how I did it. All I know is with a glass full of wine and Law & Order on my television – I messed with it until I put the file into the right place. Also, be mindful if you are printing somewhere else (i.e. a library or computer lab – the font will need to be downloaded on that computer as well in order to print in the font. iT wIlL nOt TrAnSfEr ItSeLf.) I recommend printing ahead of time! Beezlenut Splash (aka Grinch Juice) – was a combination of Ginger Ale, pineapple juice, lime juice, and green Kool-Aid. We actually did not follow any particular recipe. We just winged it. We also labeled each side of the punch bowl with The Grinch (alcohol included) and Cindy Lou Who (non-alcoholic). I will provide you guys with the link to the printables I used later. I purchased the double nozzled punch bowl from Hobby Lobby. It was originally $27.99. I used a 40% off coupon online which brought it down to about $15-16. It was definitely worth the investment being that it is a strong material and reusable. Get the coupon here! There was no certain setup for my hot cocoa bar. It was simply a vision I’ve always wanted to make happen for a party or nightcap. I purchased my clear stackable platters from Hobby Lobby for $3.99 each. I originally wanted to do three different sizes but they had sold out in the other two sizes so I used the same sizes and placed them in a manner people could pick around them. The sticks were purchased from Target months ago. Like I said this was a version I’ve been planned for. Lol. The bar’s centerpieces were also purchased from Hobby Lobby on sale for about $3-$4 each. The glass jar holding my Martha May’s Famous Egg Nog was purchased from Walmart. It came with calk because it does have a small area on the front of the jar for you to write on. Great reusable jar! Along with the bar, we gave away Christmas jars to our guests with small candy favors inside. Want my Grinch printables like above? Click here! How to Play: This game was another crowd favorite! To prepare for this game, empty a tissue box, and use a Xacto knife to make two slits into the bottom of the box. Thread an adjustable belt or wide ribbon through the two slits to create a tissue-box-on-a-belt. Removing the thin plastic barrier from the tissue box opening will make gameplay easier (for younger children) or keep it intact for more challenging play. Pictured above: we took a short trip to see my sweet Libby! Libby was a great friend from undergrad. We took Special Education classes together, served as university orientation leaders and ambassadors together, and I even got to crown her as my Homecoming Queen successor. She passed earlier this year after a lifelong battle with cystic fibrosis. #LiveLikeLibbyLoveLikeLibby is her foundation! You guys may have noticed in a couple of my photos from Snapchat, our geofilter. Originally I was being an over-achiever and designing our filter. Lol. However, I am not as creative as I thought and to be honest it was taking more time than I expected. Everyone knows I love Etsy so I found a vendor that had a few Christmas filters up for sale. The vendor @OohLaLlew had one for $6.00. Once I purchased the filter, I told her what I wanted it to say and she altered whatever designs or fonts I wanted. She emailed the new filter in a matter of minutes. It literally took no time. However, she did send me the wrong website to submit the filter too in order to get it on SC. After over three hours of calling a friend, changing the dimensions, and resizing it I realized she had sent me the free site. Once, I paid for the area I wanted the filter in it submitted with no issues. I definitely would recommend her for future filter purchases. She was extremely helpful. The party was a onesie slumber party so of course, I had to go all out and get a onesie I was proud of. If you follow me on Snapchat, you know my onesie game is strong and I have many of them. This one was purchased from Amazon a few months ago. Although it took a minute to arrive – it was worth every bit of money and time. It was extremely comfy and appealing to the eye. I love unicorns and I have many unicorn style jammies. Most of all they have photos of unicorns on them they aren’t designed to look like one. I was worried I’d get a lot of “What are you” looks. Lol. I do regret ordering is so big. It is a naturally baggy onesie on its own. I hope this Grinchmas-themed party has inspired you to grow your heart three sizes and open your home the next holiday season. Merry Grinchmas & a Happy Who-Year!